It makes the world go ’round. …a buck or a pound. Money moves into and out of North American businesses in a constant ebb and flow, but knowing exactly how to make more of it flow in and stay put is sometimes a mystery. Everyone wants to unravel that mystery and know how to keep cash flowing into their own pocket, be that a personal pocket or a business one. Let’s look at a few basics on how to improve cash flow. Decrease Expenses. Probably the most obvious way to increase cash flow is to cut major expenses. In some companies this may mean more conference calls and fewer face to face business meetings to cut down on travel. Or it may mean deferring the purchase of new manufacturing equipment or computers for the accounting staff until replacement is absolutely critical. And cutting down on non-essential expenses can be done just about everywhere. There’s not a personal budget guru alive that doesn’t say “Eliminate your daily caffeine fix at your favorite Starbucks and you too can eventually afford <insert your expensive want here.>” Businesses have non-essential expenses that can be reduced or eliminated too. Identify your company’s ‘Starbucks fix’ and see how you can cut back gradually. Manage Receivables. This one too seems obvious….all ya’ gotta do is get folks to pay you faster. Yeah, right, like that’s easy to do in today’s economy when 90 days is the new 60 for outstanding payables. Perhaps the answer is to not extend the credit to begin with. And by that I don’t mean losing the sale, I mean, what about offering a credit card as a payment method to your customer? The customer gets the benefit of a 35-30 day grace period before they need to pay Visa/MasterCard, but you get your cash within 24-48 hours. And you get the added benefit of re-purposing your collections clerk to a role that drives more revenue to your bottom line. What are the top business practices that you have put into place to help increase your company’s cash flow? 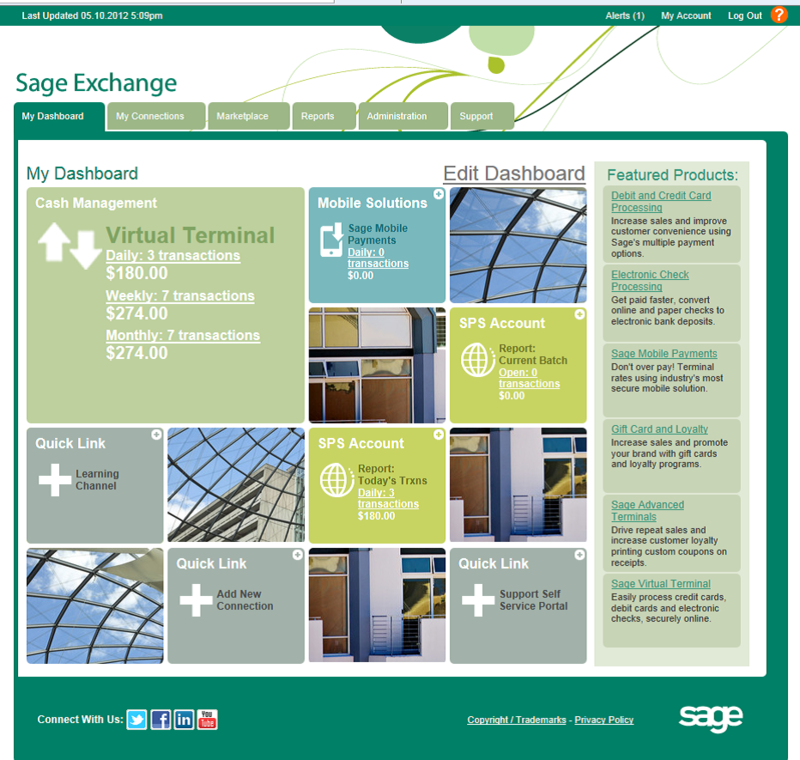 Today marks yet another significant milestone in the Sage journey…our new Sage North American website has gone live at www.na.sage.com. The site has a new fresh look and rolls out all of the Sage new product names as well. Optimized for those who don’t know much about Sage and want a quick overview, I found the new site easy to navigate and find product information. It incorporates all of our new branding and adds a geolocation feature for North America. Check it out! 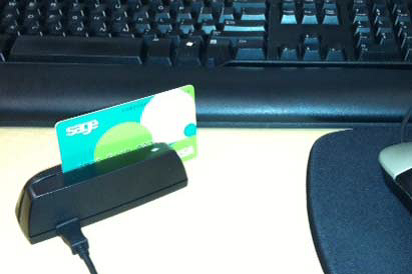 Also new today is Sage One, our company’s newest business management offering. Sage One is designed for the business entrepreneur who wants to manage his or her business rather than have the business manage them. This cloud based offering really simplifies business processes. It combines project and task tracking, invoicing, money management, team collaboration and time tracking all into one simple, easy to use system. And to make it painless for customers to start, we’ve got a special promotion that allows complete access to Sage One for $1 a month for 3 months. Use code 90219 at na.sageone.com to learn more about it and take advantage of the promo. Today is also the launch of Sage 50 – US Edition which was formerly Sage Peachtree. 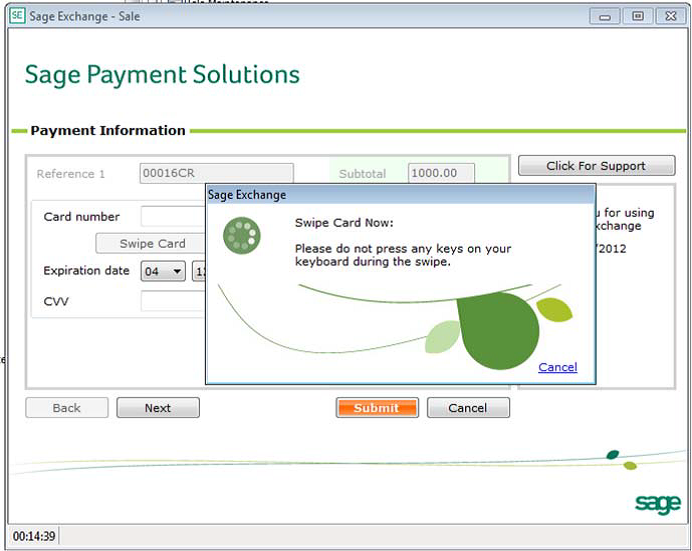 And to complement the Sage 50 release, Sage Payment Solutions has released SageExchange.com, which integrates simple mobile payments directly with Sage 50. For those of you in the Sage 100, 300 or 500 product communities, this offering is what is coming later in the year for you. Take a cruise around www.sageexchange.com for a sneak peek. But that’s not all! New print and on-line advertising is beginning today too. Look for Sage ads in The Wall Street Journal, The New York Times, Inc., Entrepreneur, Fortune and more. And next month prepare to be dazzled by another Sage first….television ads for Sage One on DIRECTV and Dish Network stations including CNN, Fox News, MSNBC, CNBC and more. Lots of exciting ways Sage is spreading the news of who we are and the value we bring to customers across North America. After you peruse the above sites, let me know what you think!